« SPIRIT NIGHT COMING SOON! Can’t make it between 4 and 8pm? 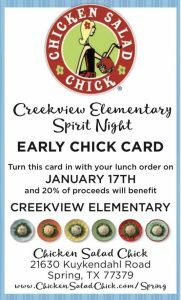 Take an Early Chick Card any other time of day, and Creekview will still get 20%! 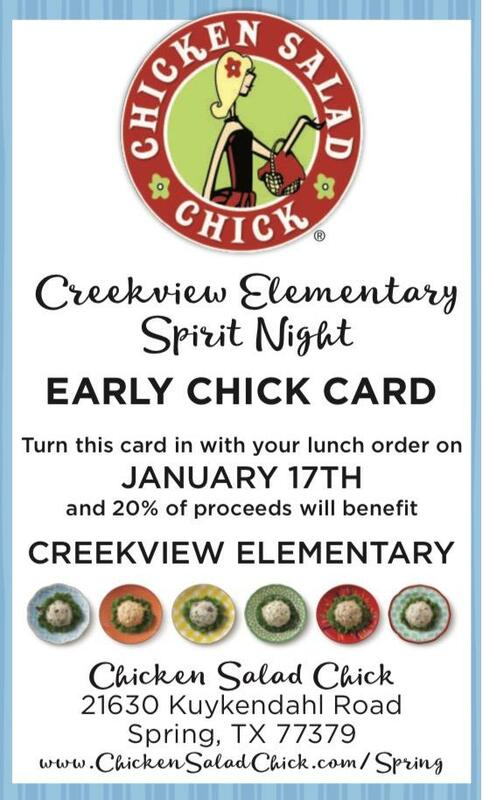 Print this one off, or pick one up at Creekview in the front office!